PETSCII paint is a simple tool for creating tile based pixel art using the C64 charset(s) elements as tiles. 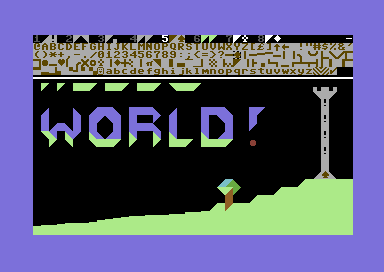 It is/was written in BASIC on a C64 emulated under the VICE emulator which I also recommend for running this on your PC. Version 0.5 is a complete rewrite(also with new features) in C, using the cc65 compiler.